PRODUCT (48) (FULL PALLET) Price includes of collection and delivery only on the London area. Shipping to Antigua, Barbados, Dominica, Grenada, Guyana, Jamaica, St. Lucia, St. Kitts and Trinidad. 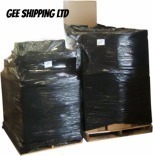 Shipping to Antigua, Barbados, Dominica, Grenada, Guyana, Jamaica, St. Lucia, St. Vincent, St. Kitts,Trinidad.